Kronendal is a retirement village set in the seaside community of Hout Bay which boasts some of the most beautiful views of the bay and Chapmans Peak. Hout Bay itself has a number of excellent restaurants, hotels & guest houses not to mention it’s unique fishing harbour and popular markets. At this development, fifty-seven cottages have been built on a site that incorporates a small lake and woodland area. Shire was central to the process of completing this development. 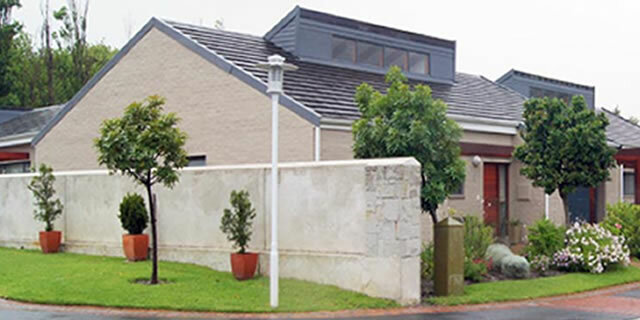 Shire represented the interests of the developer on the board of trustees of the Kronendal Home Owners Association, and managed all developer-related matters with residents during the development handover phase. The second phase of the development was completed by Shire and included sixty assisted-living apartments, including a mixture of two and one-bedroom units for the CPOA. Also within the complex is an eleven-bed care centre, a recreation room, workshop area for residents, lounge, dining room, deli/coffee-shop, bar, Internet cafe, library and administrative offices. Shire managed the entire project on behalf of the developer. Shire’s role was to represent the Developer in all interactions with the professional team and to develop a strategy with regards to Sales, Marketing and Communication. During the construction phase, Shire had an on-site QS and Contracts Manager shadowing the professionals appointed to complete the works, in order to ensure compliance with quality and quantity matters in the developer’s best interest. The project was completed within one month of the forecast completion date and 10% under-budget.